Don't use spreadsheets for reporting and budgeting. 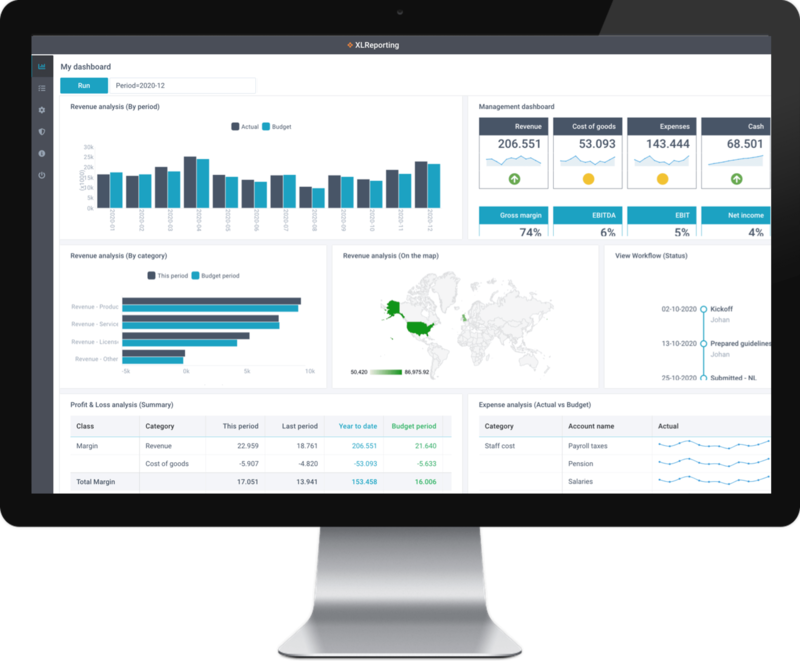 Improve your reporting and budgeting with powerful data-driven models and reports. XLReporting is web-based, easy to use, and integrates with Excel. Fully hosted, and we offer free setup support. Define your business model (e.g. companies, business unit, chart of accounts, cost centers etc). You can create data sets, reports, and models to store and process the information the way you want. Import data from your accounting and other systems using standard connectors or by importing files. You can set rules to transform, filter, validate, and consolidate your information during the import. Create powerful web-based models, pivot tables, reports, charts, and KPI's with just a few clicks. You can create your own budget models, report layouts, KPI's, and dashboards, all integrated with Excel. View the features or read our FAQ. "It gave us the tools to better control our financial processes"
"It helped us streamline and automate our reporting processes"
"It was really easy and straightforward to implement"